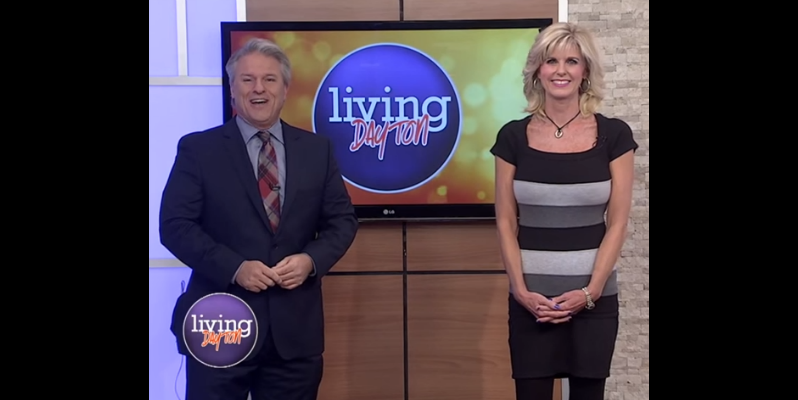 Three-time Emmy award-winning reporter and National and Regional Edward R. Murrow award recipient, Sallie Taylor returned to television media and is hosting some of WDTN's Living Dayton’s cooking segments. Back in 2007, she departed from the job as Saturday morning anchor at WHIO-TV to be a stay-at-home mom. Though she no longer held her regular television spot, witnessing her child grow up instead, brought on its own series of rewards. In an interview with Lean In Dayton, Sallie explains a brief struggle with choosing between the two worlds. Plus she reveals some key professional practices which led to her success: the willingness to learn from senior-level colleagues, the ability to take on unpaid roles and responsibilities which build upon experience and never accepting no as an answer. Women For Action: When did you first decide to become a reporter? Sallie Taylor: I was attending Southern Methodist University. I was trying to choose a major. I thought Broadcast News Journalism would be interesting. I started taking classes and interning at stations in Dallas and in Dayton at WDTN. I fell in love with the business. 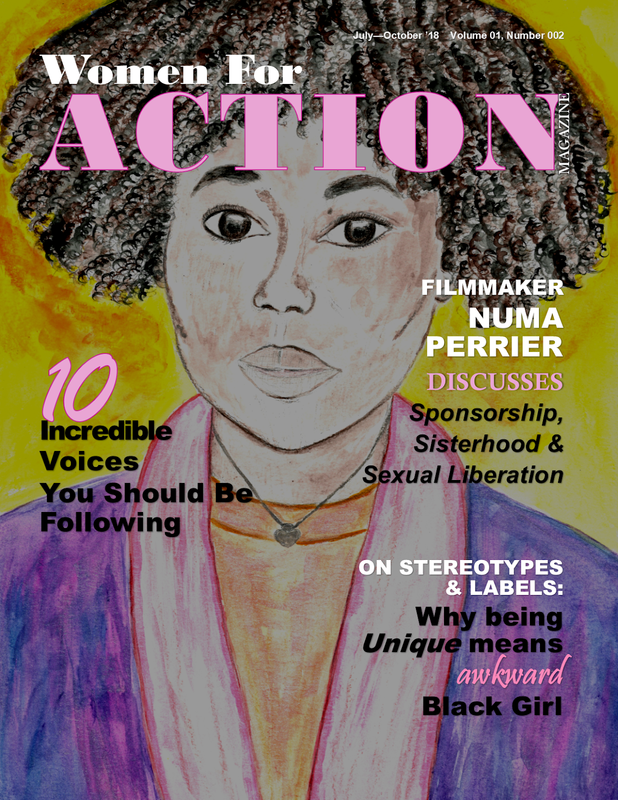 Women For Action: Did you set out to have a successful career in journalism? Sallie Taylor: One of my professors, who was also my counselor, told me I would never make it in the business. I will never forget it. I think that helped me to work that much harder to succeed. I would love to show that professor all my regional and national Journalism awards! Women For Action: Your public bio states that you left your job in 2007 as a Saturday morning Anchor to be a stay-at-home mom. When you first made the decision to do so, what sort of thoughts did you have regarding your career and family? Sallie Taylor: I left because I was having daycare issues. My husband suggested that I quit my job and stay home. It was a hard decision at first. Leaving a job, I loved at nearly 20 years in the business. But in the end, it was a HUGE blessing! I have been so fortunate to be at home with my son, watching him grow up and being there for him. But I have also been fortunate to do so while working part time doing commercials for Troy Ford and being a Co-Host for WDTN's Living Dayton Show. 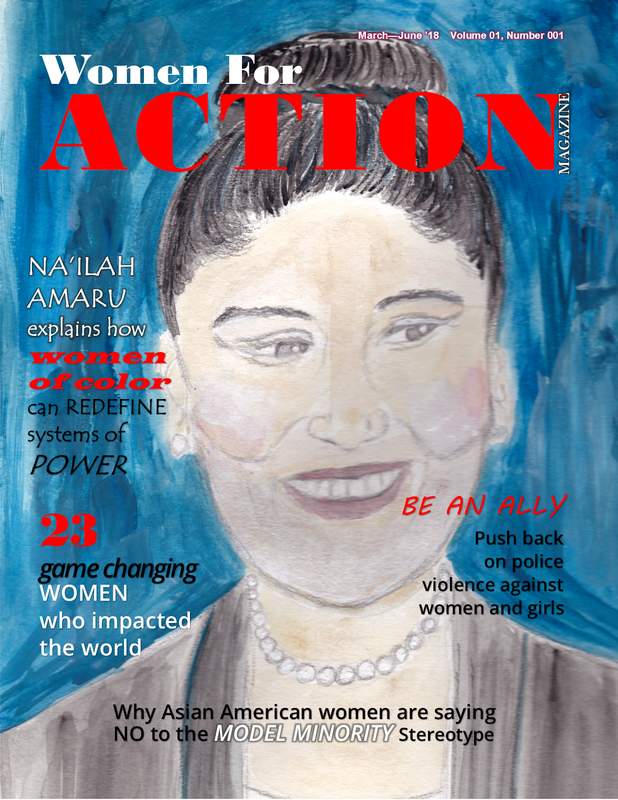 Women For Action: You are a three-time award-winning journalists, plus you have been awarded by the Associated Press and Society of Professional Journalist for your outstanding work and investigations. What would you say was the key ingredient that led to these recognitions? Sallie Taylor: I have been honored with 3 regional Emmy Awards, numerous Ohio Associated Press awards, as well as Regional and National Edward R. Murrow awards! Huge honors! The key ingredient is hard work! Some of my investigations took a month or more to complete. I also love investigative work. It was a passion of mine. If you love what you do, you will succeed. 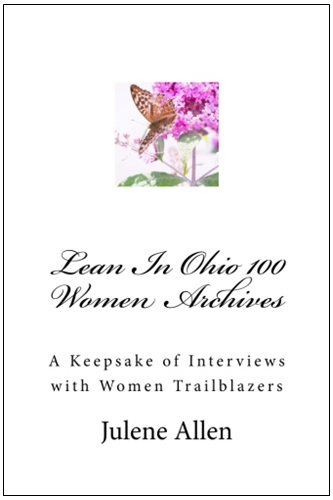 Women For Action: In the book, Lean In: Women, Work and the Will to Lead it discusses the necessity of mentors and peer support. What sort of support did you have which could be attributed to achieving some of your career goals? Sallie Taylor: When I was a cub reporter, I looked up to our experienced anchors and reporters. So many of them helped me over the years, and so did many producers. In addition to that, I loved to work with our consultants from Magid. I was chosen twice to go out to their headquarters for several days of consultations. I believe in order to succeed, you have to listen to the professionals and learn from them. That’s exactly what I did. And today, I will never turn down an intern, who is looking for advice. I want to give back! Women For Action: Still today in journalism and media, women are not advancing at the same rate as men. How can we heighten the visibility of women’s work in journalism and media? Sallie Taylor: Gosh, I disagree. I think there are lots of women succeeding in this business. I could name so many incredible female Journalists. Just turn on the TV and you will see women succeeding locally and nationally. Sorry, I disagree. 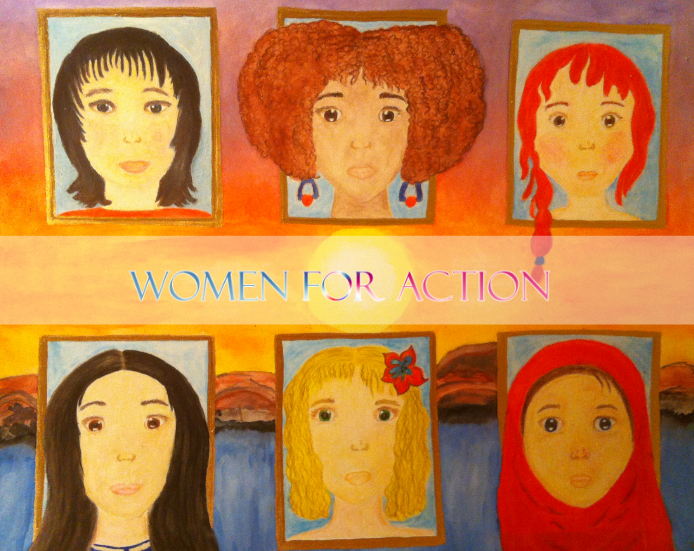 Women For Action: Is there a woman that inspires you or has inspired your work? Sallie Taylor: The first woman who I think of was Deborah Countiss. She was the main anchor when I first started. She told me you can’t be a good Anchor until you are a great reporter. So true. When the prompter goes down, or there’s breaking news, you can tell the anchors who have no reporting experience. There’s more to anchoring than just reading the news! Women For Action: Though you’ve recently returned to media after staying at home, it is rare for women to be able to pick up where they left off in their careers. Would you say the tide is turning on how we view stay-at-home moms who wish to restart their careers? Sallie Taylor: I think I was very lucky. I think this business can be very hard to leave and get back into. However, I believe I was able to do it, because of the uniqueness of Dayton, Ohio. People here love their news and they love news personalities. Just the other day, I was stopped by someone at Speedway who still thought I was reporting the news. He couldn’t believe I haven’t done it, in nearly 10 years. But Daytonians love people they are familiar with and are comfortable with people whom they trust. Women For Action: What piece of advice would you give a young woman who is interested in following your footsteps? Sallie Taylor: Intern, Intern, Intern. You will find out very quickly if you like this business by interning. It’s a hard business and it’s not for everyone. You can only intern once for college credit. But I tell college kids to get your college credit, then keep interning at other stations. Tell the News Director you don't want college credit, you want experience. By interning, you learn from the best. And you also can make resume tapes, which you will need to get a job. I interned at 2 stations in Dallas and at WDTN in Dayton. Women For Action: What piece of information would you want the Lean In Dayton audience to know about you? Sallie Taylor: I am a woman who loves my family and loves my job! I have been blessed to be able to be there for my son and keep my feet wet in the business. I think my best advice is, when one opportunity goes away, look for the next one! Don’t take no for an answer. And never ever let someone discourage you from your dreams. Always keep looking for ways to succeed in life and you will! For me, my favorite saying is “With God, all things are possible”!